I soaked the wooden plunger in mineral oil to seal the wood. Mineral oil is food safe, and if wiped off after soaking, will not perform its usual purpose (look it up if you are unsure what it’s usually used for). The plunger was made from 3-2x4s sandwiched between two pieces of plywood and it held together very nicely. Anyhow, I was going to use our apples but the deer got a hold of many of them and I plan to make more jelly with those that remain. 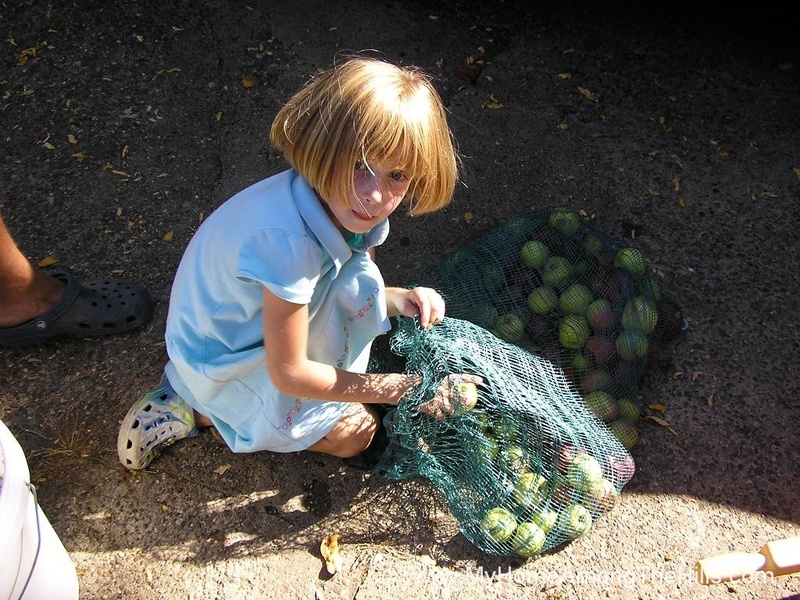 We happened to swing by the farmer’s market on Saturday and a man there had “deer apples”. I asked him about them and he said they were apples from his usual bins that were either too small or slightly bruised. We got to talking and he mentioned that when he used to make cider, he used the very same sort of apples. 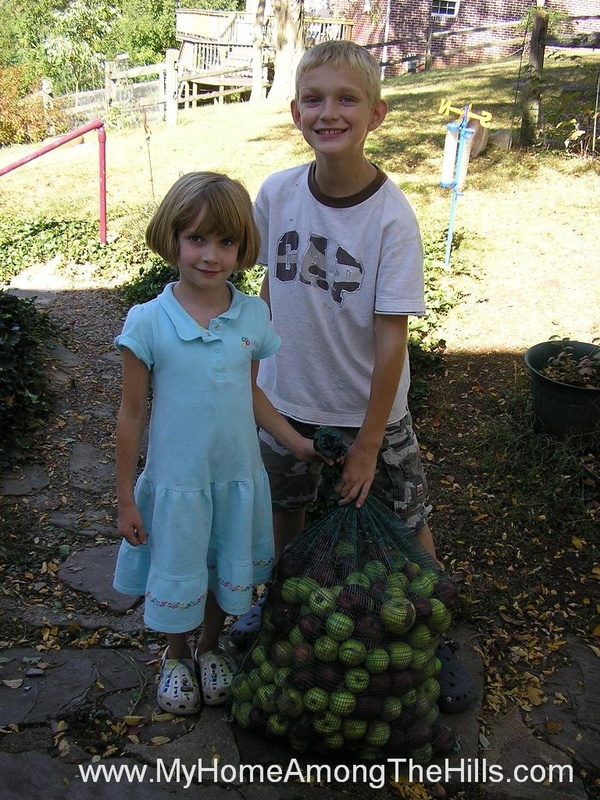 I looked at them some and they were perfectly good apples so I decided to buy a bag – 53 pounds for $12. To buy them as “regular apples”, I would have spent $89.57. The added bonus is that they were a mix of varieties which makes the best cider (as compared to a single type of apple). 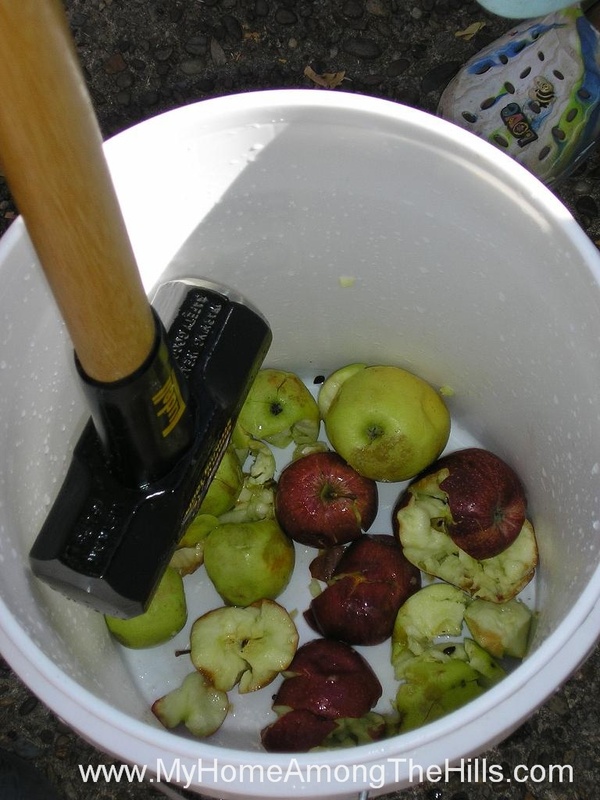 The kids and I dumped a bunch of apples into a food-safe plastic bucket and mashed them with a new sledge hammer. 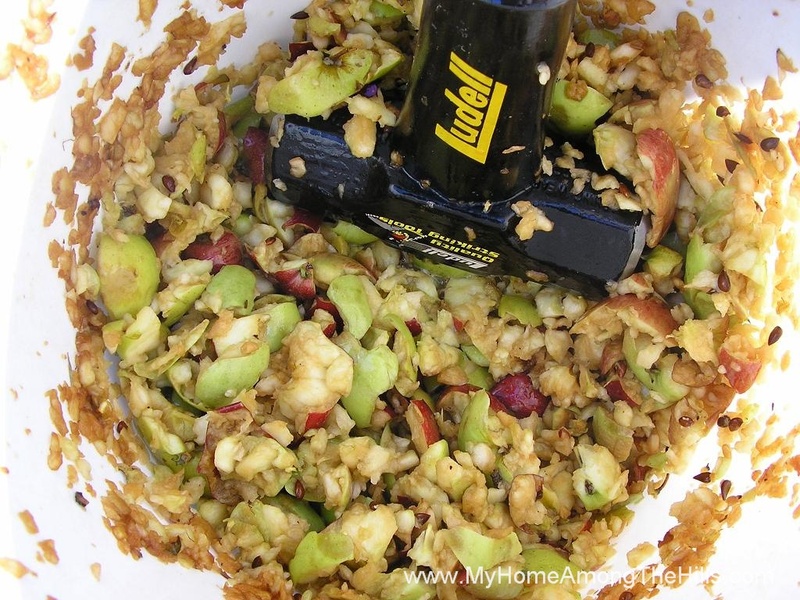 The mash smelled awesome which caught the attention of the yellow jackets also. They weren’t a problem but I was surprised at how quickly they found our spot. 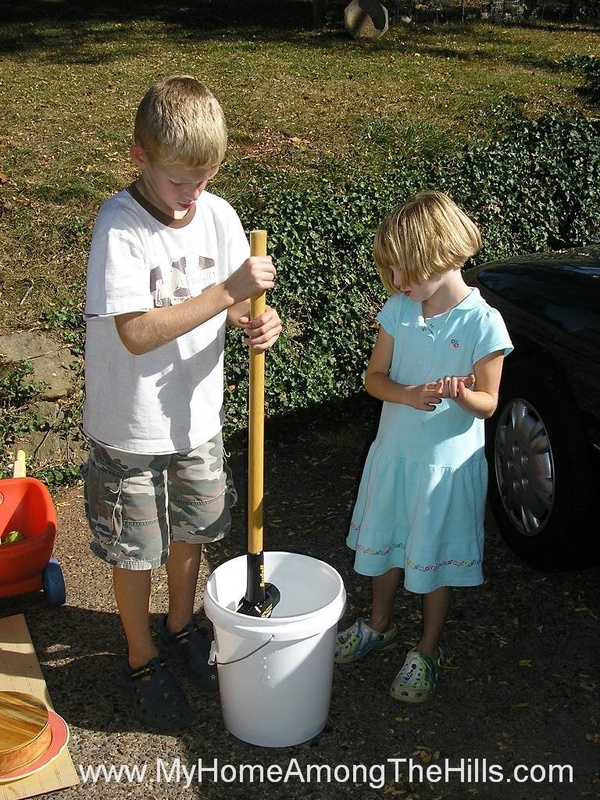 Well, that’s about all there is to prepare for making apple cider. I’ll post more tomorrow about the actual pressing and taste testing! Funny how some people’s seconds can be perfectly useful to someone else, right? I’ve gotten seconds of tomatoes taht were fine for canning whole tomatoes – just a few spots, taht most people wouldn’t eat. Can’t wait to see the press in use! Hey Warren, the press looks good, let’s hear an update on the taste testing! I love the pictures! Your children are beautiful! Oh, I can’t tell you how envious I am of those apples! Can’t wait to hear more. I love the press. Great Job. Man you got a deal on those apples.